What happened to the great dictators of contemporary history, responsible for some of its most gruesome chapters? And do they still seem as terrifying as when they held power? 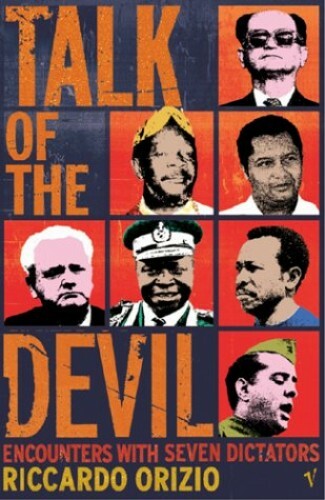 An unrepentant Idi Amin lives in exile in Saudi Arabia and still meddles in African wars. Before dying, Bokassa proclaims himself the 13th apostle of the Roman Catholic Church and talks of his secret meetings with the Pope. Colonel Menghistu defends his Red Terror campaign. Mrs Hoxha, from her cell in Tirana, argues why the most isolated regime in the world was right to adopt a brutal Stalinist ideology. Paris-based Baby Doc Duvalier speaks about voodoo, solar panels, his women and his lost money. Mrs Milosevic defends the wars in the former Yugoslavia and declares her love for her husband. Jaruzelski reveals his personal transition from son of an aristocratic family, to autocrat army general in sunglasses. Riccardo Orizio has tracked down these fallen tyrants and thrown a new light on people whose names have become synonymous with misery, death and terror for entire nations.